My interest in the study of cerebrovascular diseases began when I was a medical student in my native city of Trujillo, in the northern part of Peru. After my graduation from Medical School, I decided to do my Residency in Neurology at Universidad Nacional Mayor de San Marcos at the National Institute of Neurological Sciences in Lima, Peru, where I currently work. In 2006 with a group of colleagues, we founded Peru Stroke Group, an organization dedicated to stroke training and prevention, I was president of this organization twice; during my last period, in 2013, we got the Third Price in the Word in the World Stroke Campaign contest organized by The World Stroke Organization. In 2012, I founded The Cerebrovascular Diseases Research Center at my hospital, The National Institute of Neurological Science, and now I am working on generating and implementing a program of Vascular Neurology Fellowship. Abiodun Moshood Adeoye is a Cardiologist and Epidemiologist at the College of Medicine, University of Ibadan/University College Hospital, Ibadan, Nigeria and also a member of the Center for Genomics and Precision Medicine, University of Ibadan. He is a recipient of 2014 Early Career Investigator Travel Grant by the World Heart Federation and 2003 Ayo-Iyun Award by West African College of Physician (WACP) for the best part-one candidate in internal medicine. A summiteer at the NHGRI-1st International National Institute of Health Summit on Human Genetics and Genomics in 2016. Over the years, his research activities have centred on environmental and genomic determinants of hypertension-associated target organ damage such as stroke, heart failure and kidney failure. As a fellow of the World Heart Federation on Twin center training at Madras Medical Mission, India, he conceptualized and conducted a study on non-invasive ultrasonographic assessment of carotid artery atherosclerosis in patients undergoing coronary bypass surgery (CABG) to mitigate the incidences of stroke peri-operatively. Findings from the study contributed to the formulation of hospital policy that made carotid ultrasonography a routine investigation pre-CABG. He currently serves as site PI on two landmark studies, A Randomized Controlled Trial of Influenza Vaccine to Prevent Adverse Vascular Events ( IVVETrial) and INVestIgation of rheumatiC AFTreatment Using vitamin K antagonists, rivaroxaban or aspirin Studies (INVITUS trial). The main objectives are to prevent major cardiovascular events such stroke among patients with heart failure and Rheumatic heart diseases with atrial fibrillation respectively. In pursuit of his research focus he has collaborations in several other studies such as Cardiovascular Research Training Institute (CaRT), a Forgaty International center/ NIH sponsored capacity building program, where he led a group of researchers to assess the correlates of resistant hypertension at two teaching Hospitals in Ghana and Nigeria. He is a lead cardiologist in NIH funded Stroke Investigative Research and Education Network (SIREN), the largest stroke study in Africa. As a collaborator in H3Africa Kid-ney Disease Research Network, he leads members of the team on circadian blood pres-sure variation among people with chronic kidney diseases with the view to risk stratify based on ambulatory blood pressure phenotypes and decipher the genomic determinants of dipping status for prompt and better care. My name is Akhmetzhanova Zauresh. 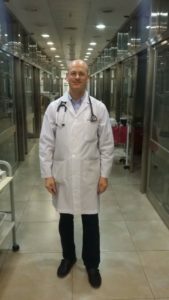 I’m a neurologist from Kazakhstan, Central Asia. I’m working at the Republican Coordination Center for Stroke Problems in Astana, it’s a capital of Kazakhstan. I am the chief specialist and coordinator of the state program “Roadmap for the implementation of the integrated model of stroke management in the Republic of Kazakhstan.” Briefly, we are trying to improve the situation in the country and help to organize the equity of access and equity of care for everyone patient with stroke. Dr Carcel is a clinician researcher with 10 years’ clinical experience in neurology specialising in general neurology, stroke and electrophysiology. Her main research topics include women’s health in stroke, headache, stroke and acute stroke imaging. She has been actively involved in several international clinical trials at The George Institute for Global Health. I obtained a Master’s degree in statistics and demography and a PhD in Demography from the University of Rome ‘La Sapienza’. Much of my work has focused on health with special interest in risk factors associated to non-communicable diseases. In particular I have been working on inequalities in non-communicable diseases, risk factors contribution to cardio-metabolic mortality, and the role of early nutrition on child development. My current research focuses on the global dynamics of social inequalities in undernutrition and adiposity and on preventing obesity among children. Dr Hasan Al-Farhan is a consultant interventional cardiologist, assistant professor in cardiology, and medical educationalist. He is the president of Iraqi Scientific Council of Cardiology, head of the Scientific Committee in the Cardiology Department, head of Cardio-Maternal Unit at Baghdad Teaching Hospital. Since 2014 – present, annually the ESC including Dr Al-Farhan among the ESC Congress abstract graders, and he is the national coordinator of EURObservational Research Programme (including PPCM with its Biomarker study, ROPAC, ACS-STEMI) in Iraq from 2015-present. He is a fellow of many cardiology organizations including, FACC, FRCPE, FESC, FHFA, FSCAI, FICMS Cardiol, in addition to being a member of the stroke council/ESC, European Association of Preventive Cardiology/ESC, Ministerial Research Ethical Committee, and Ministerial Committee of Protocols. Dr Al-Farhan is attending ESC Congress and HFA Congress annually, in addition to attending American College of Cardiology Conference and other international conferences, among his interest while attending these conferences and in his publication is focusing on how to prevent developing heart disease and on the role of novel anticoagulation in atrial fibrillation and the pattern of presentation in patients with atrial fibrillation in order to prevent stroke; depending on multidisciplinary teamwork. He is a faculty member of ESC, and Founder Committee of CardioArab Congress, and member of EAPCI, EHRA, and ACRS. Al-Farhan also was the President of Iraqi Cardio-Thoracic Society from 2013 – 2016. 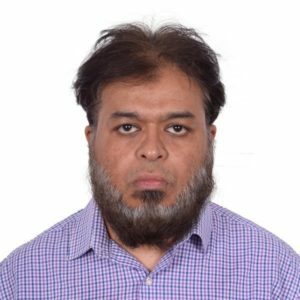 Al-Farhan is an Editor-Board of Iraqi Post Graduate Medical Journal and Member of the Examination Board of Iraqi and Arabic Fellowship Program in Cardiovascular Medicine, Interventional Cardiology, and Diploma of Echocardiography. He is the founder of Iraqi Academy of Medical Education, faculty member in Al-Kindey College of Medicine/University of Baghdad. Al-Farhan has a wide experience in researches, clinical trials, and audits, and his interest focus on; dyslipidemia, heart failure, acute coronary syndrome, and heart disease in pregnancy. Moreover, he produced the National Protocol of Baghdad Dyslipidemia which is an educational, preventive and therapeutic protocol and was approved by MOH, currently he is supervising the final steps to establish the Refractory Angina Protocol, and anticoagulation Protocol focusing on valvular heart disease to prevent prosthetic heart valve thrombosis and stroke. After completing Masters in Physiotherapy, I had the opportunity to work among those with developmental disorders, stroke, Spinal cord injuries etc through an NGO. The challenges faced by the community due to lack of basic resources were evident and this drove my desire to generate and implement newer ideas and ways of community based neuro-rehabilitation. I was blessed to be part of the ATTEND trial where I was given the responsibility to train and supervise 14 hospitals across India in task oriented, home based and caregiver-led, rehabilitation plan for stroke patients. My present fellowship study is exploring the use of a computer game based rehabilitation platform for upper extremity rehabilitation after stroke. Academically I have completed my graduation in medicine (MBBS) followed by Master in Public Health (MPH) with major in Epidemiology. I have received post graduate academic training in medicine and cardiology for a total of two years. I have worked eight years in internal medicine/cardiology in tertiary hospitals. My experience in clinical and public health research is for more than 15 years in different hospitals and health based development organizations. I have performed qualitative and quantitative research, and monitoring and evaluation. My work also involved capacity building of the officials of the government health system in research, monitoring and evaluation on behaviour change communication (BCC). At World Health Organization (WHO), I participate in writing proposals and developing tools for generation of evidence in area of public health importance. I devote myself in capacity building on research both within the organization and also outside with government and other stakeholders. In addition, I prepare technical reports on and facilitate development and coordination mechanism of research networks. I provide technical assistance to government organizations on health research. Presently, I am providing technical support for all stages of the Global Adult Tobacco Survey (GATS) 2017. I facilitated in preparing sampling frame, train field forces, monitor field executions, and maintain quality of data. I have analysed the data and generated the full report for the Survey. Upon finishing my medical school in Karachi, Pakistan (2006) and completing my house-man ship in Medicine and Surgery in 2007, I started working in Neurology department in Civil Hospital Karachi from 2008-2009. In 2010, I moved to Singapore where I started working as a research assistant in Memory Aging and Cognition Center, alongside my clinical duties at Memory clinic, National University Hospital, Singapore. My research focus mainly involved population and hospital-based studies where I used cerebral and retinal imaging to study cerebrovascular disease among normal as well as cognitively impaired persons. Subsequently in 2011, I took up the masters in public health with specialization in clinical epidemiology where I specifically worked on the link between cerebral and retinal changes in cognitive impairment. My eventual PhD thesis involved identification of novel markers of cardiovascular and cerebrovascular diseases using blood based samples and MRI. Over the last 3 years, I was one of the pioneers in identifying a new marker of cardiovascular and cerebrovascular diseases i.e. cortical cerebral microinfarcts (CMIs) on 3 Tesla MRI scans. This work has received both national and international appreciation as exemplified by international collaborations, several travel-fellowships, awards and invited lectures to present my work at various international conferences. Based on my expertise, I was offered a Postdoctoral Fellowship at Erasmus MC. Here, I am studying plasma-based amyloid-beta levels as biomarkers for cerebrovascular disease, dementia and stroke. By combining MRI with retinal imaging and now with plasma biomarkers, I have been able to further comprehend the pathophysiological mechanism behind brain vascular changes and cognitive dysfunction from normal to diseased individuals. I have published more than 50 peer reviewed scientific papers and am supervising 2 medical students, 2 PhD, 4 MSc, 2 final year life science students for honors degree and sever-al research interns both at National University of Singapore and Erasmus University Medical Center. I am a Wellcome Trust DBT India Alliance Research fellow in public Health. I work as an assistant professor at Public Foundation of India based at the Indian Institute of Public Health in Hyderabad. I have been working as a clinician, academician and researcher since 2003 in India, Nepal and also in the U.K. I primarily teach Health systems, policies, epidemiology and Disability. I have special interest towards systematic reviews of complex interventions. I work closely with the International Centre for Evidence in Disability (ICED) at LSHTM, The South-Asia Centre for Disability and Inclusive Development Research (SACDIR) at Public Health Foundation of India and I contribute as an author for the Cochrane Collaboration. As a part of my doctoral study, I developed a smartphone-enabled carer-supported educational intervention for management of physical disabilities following stroke in India. This intervention was named as ‘Care for Stroke’. To the best of my knowledge, there is no other stroke rehabilitation intervention enabled through mHealth platforms that are available and relevant to India. Am continuing evaluate the clinical and cost effectiveness of ‘Care for Stroke’ in an Indian con-text through a randomized controlled trial through my current Wellcome DBT India Alliance Fellowship. I have an undergraduate degree in Occupational therapy (India), a post-graduate degree in public health, specializing in Health programme management (India) and PhD from the London School of Hygiene and Tropical Medicine (LSHTM – UK). My main research interest is main-streaming disability in health and development with a particular focus on low and middle income countries and neuro-psychiatric conditions. I am committed to achieve this by developing and strengthening rehabilitation systems and policies for people with disabilities, particularly in low and middle income countries. I am a cardiologist from Damascus, the capital of Syria. I obtained my medical degree in Damascus university and finished my cardiology fellowship at Damascus Heart Institute. After my working as a clinical physician in Syria, I travelled abroad to start my subspecialty in cardiovascular imaging and joined the international CardioPaTH program to continue my scientific career in cardiovascular science. I have been the chair of Syrian young cardiovascular association and the director of Syrian heart society for the past three years. I am the current representative of my country in the young community of European society of cardiology (Cardiologists of Tomorrow). My research interests include echocardiography, valvular heart disease and also fields such as ischaemic heart disease, invasive and non-invasive coronary imaging. I think the Salim Yusuf Emerging Leaders Programme is a great opportunity for us to build new strategies to enhance the integration between science, culture, society and environment. My priority is to take my responsibility in Damascus heart centres to override the obstacles and difficulties where military conflicts face the preventive medicine progress. My goal is to find low cost solutions for common valvular heart interventions in the community and increase involvement of all society classes in all aspects of cardiovascular disease management. 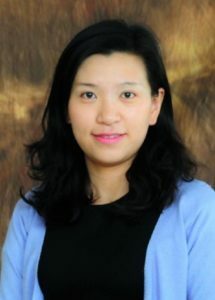 Xinyi is currently a Research Assistant Professor at Division of Neurology, Department of Medicine and Therapeutics, the Chinese University of Hong Kong (CUHK). 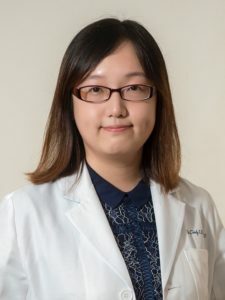 She has research interests in ischemic stroke and intracranial atherosclerotic disease (ICAD), which accounts for 30-50% of ischemic stroke in the Chinese population. 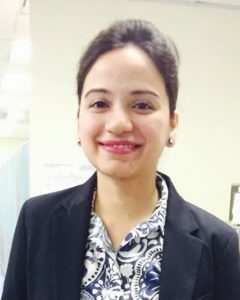 She has obtained a MBBS (2009) and a Master’s degree in Clinical Medicine (2011) from Capital Medical University, Beijing, China, and received two-year clinical training (2009-2011) in neurology at Beijing Tiantan Hospital. She received her PhD in Medical Sciences (2014) and 2-year postdoctoral training in stroke research (2015-2017) at CUHK. She has also obtained a Certificate for Neurosonology from the American Society of Neuroimaging (2013). 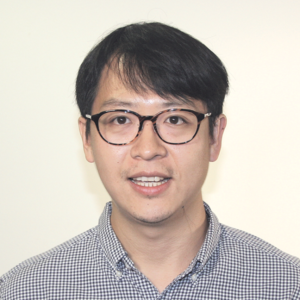 Xinyi has been conducting research in stroke and ICAD through community-based and clinical studies, including epidemiology, imaging, treatment and prognosis of ischemic stroke patients and patients with symptomatic and asymptomatic ICAD. 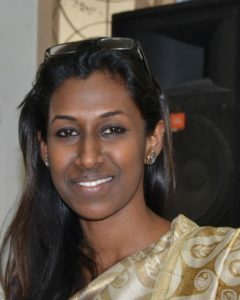 She uses innovative approaches in clinical research; and she has close collaborations with bioengineers and computer scientists in her research projects. She has been funded by Research Grants Council of Hong Kong, National Natural Science Foundation of China, and China Association for Science and Technology. Since 2013, Xinyi has published around 30 peer-reviewed articles in scientific journals in the area of neurology and stroke. Dr. Marzolini is a Registered Kinesiologist with a PhD in Medical Science and an MSc in Exercise Science from the University of Toronto, Canada. 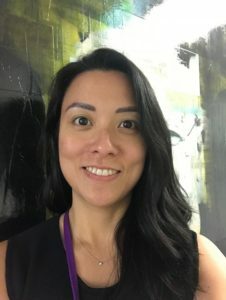 She is currently the Scientific Associate and Case manager/Coordinator of the Toronto Rehab/University Health Network’s Risk Factor Modification and Exercise Program for people following Stroke (TRI-REPS). Her aim is to make changes to the way that risk factor modification for secondary prevention of strokes are managed and addressed and dedicated to promoting programming for this underserved population. Her academic career path evolved from her clinical work in cardiovascular rehabilitation and secondary prevention. Her research examines the dose response relationship between exercise (aerobic and resistance training) and health related outcomes (cognition, body composition, mobility) in people post-stroke. Her aim is to determine exercise treatment strategies aimed at promoting mobility and brain health. Through her membership in various advocacy and partnership committees Dr. Marzolini pro-motes the optimizing of recovery and health of those with stroke and the alignment of organizations across the continuum of care including secondary prevention, rehabilitation, and recovery. This work includes helping to develop priorities and recommendations submitted to government institutions. Professor Lis Neubeck is cardiac nurse with over 20 years of experience in a range of cardiac in-patient and out-patient settings. Her PhD was entitled ‘Increasing Access to Secondary Prevention of Coronary Heart Disease.’ Subsequently, she completed a National Health and Medical Research Council of Australia Early Career Fellowship ‘Improving Health for Patients with Atrial Fibrillation’. She is currently Head of the Centre for Cardiovascular Health in the School of Health and Social Care at Edinburgh Napier University. She is an Honorary Professor, Sydney Nursing School, Charles Perkins Centre, University of Sydney. She is an Adjunct Professor, School of Nursing and Midwifery, Faculty of Medicine, Nursing, and Health Sciences at Flinders University, Adelaide and is an Honorary Senior Research Fellow at the George Institute for Global Health. Her research focuses on innovative solutions to secondary prevention of cardiovascular disease, identification and management of atrial fibrillation, and use of new technologies to improve access to health care. Lis has secured over £1.5m in competitive research funding and has won notable prizes and awards for her research, including the prestigious Cardiac Society of Australia and New Zealand Nursing Prize (2013). 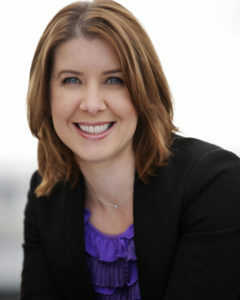 Lis is Immediate Past President of the Australian Cardiovascular Health and Rehabilitation Association (2015-2017), served on the board of the Cardiovascular Nursing Council of the Cardiac Society of Australia and New Zealand (2013-2016), and was the Australian representative on the Global Alliance for Prevention of Cardiovascular Disease of the World Heart Federation. She is the elected Treasurer of the Cardiovascular Council of Nurses and Allied Professionals of the European Society of Cardiology, and is a Fellow of the European Society of Cardiology. She is also the Consultant Editor of the British Journal of Cardiac Nursing. 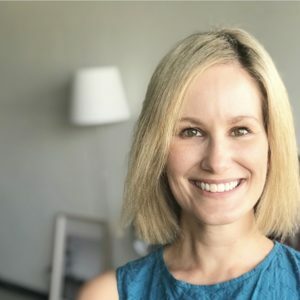 I am an Accredited Practising Dietitian and Postdoctoral Research Fellow with the Westmead Applied Research Centre and Prevention Research Collaboration at the University of Sydney. I completed my undergraduate (BSc Hons I) and postgraduate studies (PhD) at The University of Sydney. My PhD research, funded by a competitive Australian Postgraduate Award Scholarship, investigated the effectiveness of a mobile health lifestyle program for preventing obesity in young adults. I was awarded the 2016 Joan Woodhill Doctorate Prize for Excellence in Research by the Dietitians Association of Australia for the significance of my research to the field of nutrition and dietetics. My current research focuses on scalable, low-cost and engaging technology-focused healthy lifestyle programs to improve eating behaviours, physical activity, and mental wellbeing of adolescents. By improving lifestyle behaviours in adolescents, my research ultimately aims to prevent obesity, cardiovascular disease and other chronic diseases in later life. 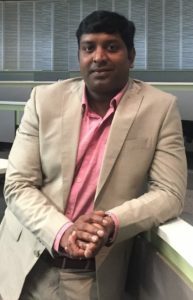 I have been involved in a diverse range of activities with several professional organisations including as a mentor for the Dietitians Association of Australia new graduate accreditation program, and I am a peer-elected member of the early-mid-career research committee at my research institute. Hariklia Proios obtained her B.A. in Speech Pathology and Psychology at Hofstra University, NY, and continued to earn a Masters and a doctorate degree (Ph.D.) in Speech and Language Pathology from Columbia University in 1993. She taught at the Dept. of Communication Sciences and Disorders of Montclair State University in NJ as Assistant Professor, in the area of Adult Aphasia, and received tenure in 12/1997. She then left Montclair to work as a Research Associate at the Cognitive Neuropsychology Laboratory at Harvard University and at the Spaulding Rehabilitation Hospital. In 2000, she became a research affiliate of the Neuropsychology Unit, of the Department of Neurology, at the University Hospital of Zurich. 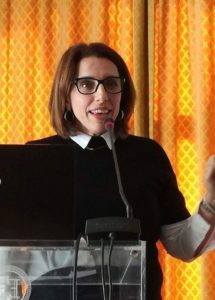 Since 2014, she is an Assistant Professor of Neurocognitive Disorders and Rehabilitation at the Department of Educational and Social Policy of the University of Macedonia, in Thessaloniki. Her research interests include adult aphasia, visual hemi-spatial neglect, and number processing difficulties in aphasic subjects. She was involved in the organization of community Stroke support groups in Greece, which built on experience with similar groups in Princeton and Boston and in Zurich. 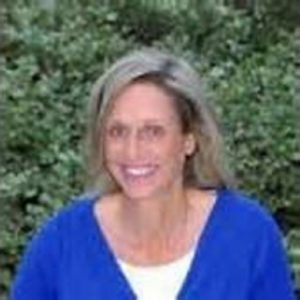 She is a member of the Multicultural Task Force of the National Aphasia Association (NAA) and also a member of the National Aphasia Association Advisory Council since 2009. Since 2016 she is also a full member of the Academy of Aphasia. Since 2016, she is actively involved in SAFE – the Stroke Alliance For Europe – representing the Hellenic Alliance for Stroke SSO and is currently a Board member of SAFE. I am currently working as a neurologist trainee in Tiantan Hospital in Beijing. Prior to this clinical job, I did my PhD on small vessel disease and stroke in the university of Edinburgh. My PhD was on investigating the mechanisms of small vessel disease which is an important factor for stroke and dementia using brain imaging methods, and on finding potential targets for the prevention and treatment of stroke and dementia. In my future career, I will work as a stroke clinician and keep on working on stroke treatment and prevention. 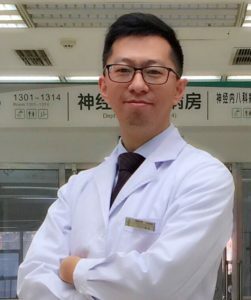 My name is Yi Sui, and I am working in Shenyang, a northeast metro city in China practising stroke neurology. I obtained my MBBS degree in China and PhD degree in Melbourne, Australia. I have designed and developed Shenyang City Acute Stroke Care Map, which integrates 9 evidence-based strategies to improve stroke care quality in the region. The improving effect is dramatic and results were submitted as abstract to World Stroke Congress this year in Montreal. Stroke is the most leading cause of mortality and disability in China. Globally, it also imposes tremendous threat to public health. Therefore, I would love to spare no effects to work with other Leaders to reach the target 25by25. Maoyi Tian is a Senior Research Fellow, Program Head of Digital Health working in The George Institute for Global Health in China. He received his Bachelor of Electronic Engineering from University of York, UK and his MSc of Biomedical Engineering from University of Oxford, UK. He graduated with his PhD in Biomedical Engineering from University of New South Wales in Sydney, Australia. He was awarded the MPhil degree in Public Health in The University of Sydney in 2018. His main research focus is using digital health for cardiovascular disease management and prevention in the primary care setting, particularly the integration of digital health into the existing health care system. Amy Unwin is a Physical Medicine and Rehabilitation resident at the University of Washington with an interest in global rehabilitation. She took a year off during her medical education at Indiana University to participate in the Fogarty Global Health Scholars Program in Lima, Peru. Her work in Peru included conducting a novel assessment of rehabilitation infrastructure in the country and coordinating multiple interdisciplinary stroke rehabilitation workshops at national neurologic and rehabilitation centers in Lima. She is eager to leverage her experience and gain new skills to continue to work on improving rehabilitation systems and reducing disability from cerebrovascular disease worldwide. Dr. Wahab is an Associate Professor of Medicine at the University of Ilorin, a first-rate Nigerian public university and an Honorary Consultant Neurologist to the University of Ilorin Teaching Hospital (UITH). He has a background in Internal Medicine, Neurology and Public Health with further trainings in stroke care at the famous University College London Institute of Neurology, Queen Square, London from 2009 to 2010 where he studied for his Master of Science in Clinical Neurology degree on Commonwealth Scholarship. Through a collaborative agreement between the Nigerian Society of Neurological Sciences and Florida Society of Neurology, he was at the Miller School of Medicine, University of Miami and Jackson Memorial Hospital, Miami in 2012 as a Clinical Observer in Stroke Medicine. The robust trainings he had were harnessed with his colleague’s at UITH to establish the first stroke unit in Nigeria in 2012 and they were able to achieve a 50% reduction in the case fatality rate of stroke within a period of two years. Dr. Wahab has been involved in collaborative stroke research for more than a decade, with a special focus on stroke epidemiology, risk factors and outcome. Most of his earlier research focused on cardiovascular risk factors and awareness of same as he believes that local context-specific stroke preventive program needs to start with knowledge of the risk factors for the disease in the community. He is currently the University of Ilorin Site Principal Investigator in the H3Africa/NIH-funded “Stroke Investigative Research and Education Network (SIREN)” project which has an overall goal of deciphering the traditional, novel and genetic risk factors for stroke in black Africans. He is also one of the two Nigerian investigators in the ongoing “Reducing the International Burden of Stroke Using Mobile Technology” (RIBUST) – The “Stroke Riskometer” Project. 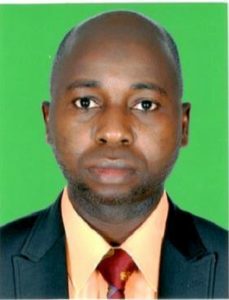 In 2014, he received the American Academy of Neurology Palatucci Advocacy Leadership Award with an advocacy project focused on reducing the unacceptably high burden of stroke in Nigeria through health education and also won the Best Researcher of the Year Merit Award at the University of Ilorin in 2016. I´m 36 years old, I live in Buenos Aires with my wife and three children. I work daily at Sanatorio Güemes, with inpatients at coronary unit, cath-lab for advanced heart failure and pulmonary hypertension, and outpatient clinic heart failure programme. My main areas of research are cardiovascular pharmacology and epidemiology, mainly atrial fibrillation and antithrombotics, heart failure, pulmonary hypertension, pulmonary embolism. I also work with pregraduate med students of pharmacology and lead a team of investigators in cardiovascular pharmacology at University of Buenos Aires.